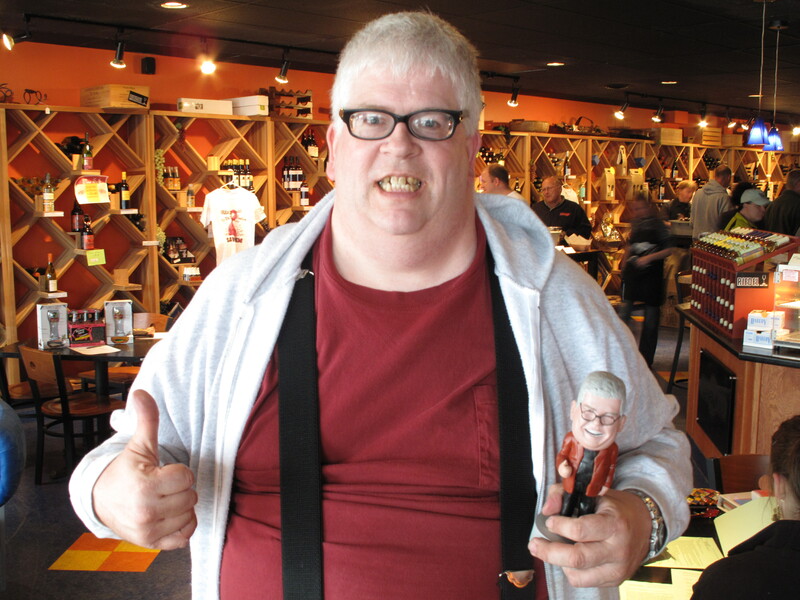 The first thing I noticed when I met up with local comedian and surrealist Jammin’ George was that he had a bobble-head of himself sitting on his table. It wasn’t a total likeness; the sculpture reminded me of Harry Caray whereas George, a big man with close-cropped white hair and rectangular black glasses, looks more like Drew Carey. 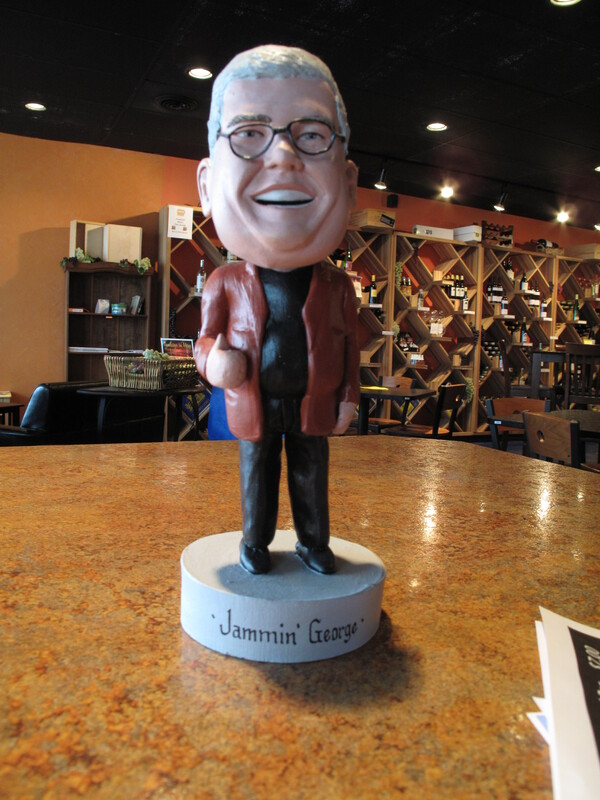 But the fact that Jammin’ George commissioned a bobble-head to be made of him is stunning. It’s one more way by which he crawls into one’s head and wreaks havoc. My relationship with Jammin’ George is full of such brain-melting incidents. Earlier in the year, my cohort Shuggypop Jackson got a hold of me and delivered an urgent message: he had something he had to show me. His offering was Jammin’ George’s Land of Fun, an hour-long video in which George dances to music, reads poetry, does impersonations, and films his television. It’s one of the most bizarre videos I’ve ever seen, but the strangest thing is that I’ve watched it so many times that I’m no longer fazed. The Sweet Shop janitor known on his paychecks as George Haug is a joyous man, quick to ham it up and not given to extensive self-examination. The one thing he isn’t is a one trick pony. Land of Fun, which was made circa 2006, is his newest project, but Jammin’ George has been around for decades. In that time, he’s also been a stand-up comedian, written his own newsletter, and released three comedy albums. 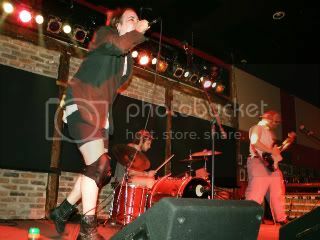 His current goals are to get some of his videos up on YouTube and perhaps make it to the Twin Cities to do a few shows. His influences, both in comedy and beyond it, range from the obvious to the surprising. George is a big fan of Chris Farley, John Candy, Dan Aykroyd, John Belushi, and Bill Murray, but he’s also into surreal artists such as Jackson Pollock and Pablo Picasso. In reading his newsletters I picked up an affinity for Tracy Chapman and the Grateful Dead. The fact that he likes the expectation-shattering Andy Kaufman is no surprise. He LOVES Alice from The Brady Bunch. George’s newsletter, The Jam Review, captures the full spirit of Jammin’ George. The volumes which George brought to the interview ranged from 1989 to 2001, and were filled with one-liners, poetry, photography, and strange stories. One story described “The Weekend from Hell,” in which George had to deal with his shiftless brother-in-law, who drank heavily and stuck George with the bills. In one edition there’s an autograph from Danica McKellar, who played Winnie Cooper from The Wonder Years. Her picture next to the autograph is in negative, giving the whole exhibit a disturbing quality. Jammin’ George isn’t in this for the money. George has released roughly a hundred copies of each newsletter, album, and video, and most of the time he gives them away for free. With his video, the reason is partly because he’s playing copyrighted music and filming television shows, so there would be an easy infringement case if he tried to turn a buck. 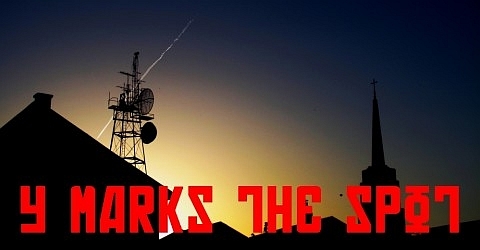 But the greater truth is that he would rather someone find his work for free than not find it at all. An example came during my interview as George gave me a t-shirt featuring the Jammin’ George bobble-head, with no thought of repayment. 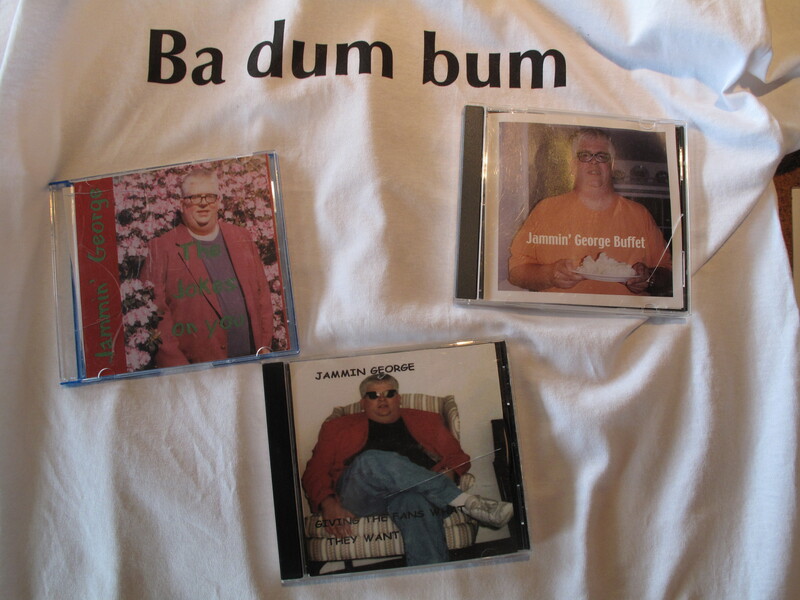 It’s one more way in which Jammin’ George sets himself apart from typically safe and fantastically average comedians. The current state of comedy doesn’t impress George much. “It’s pretty lame. Most [comedians] always tell the same [jokes],” he explained. The problem, in his estimate, is that it’s too easy to predict what a comedian will be like. Oh yeah. He has a bobblehead.